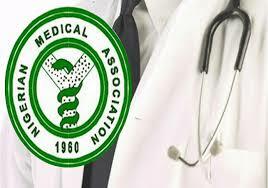 The Nigerian Medical Association, NMA Kogi State Chapter, has urged health workers in the State to thread with caution in joining National JOHESU to press home ‘their’ demand so as not to jeopardize the goodwill of the State government. The Chairman of the Chapter, Dr Tijani Godwin, in a statement on Saturday May 12 in Lokoja said its members are not on strike. While stressing that his members are available for consultations in all the health facilities across the State, Dr Tijani also noted that drugs and laboratory investigation among others could be outsourced in the interim. "The NMA in Kogi wishes to inform the public especially our esteemed patients that doctors are not on strike and would be available for consultation in all the health facilities in the State. We call on management of all hospitals to support doctors as they continue to render services to the patients, by ensuring safety of doctors, access to equipments and clinic offices. We urge all our members across the state to continue to render selfless services to our patients in spite the ongoing strike action by other health workers in the state," Tijani said. The association also noted that Nigerian doctors had never at anytime opposed to agitation for improved welfare or career progression of other health workers, but any review of salaries must accommodate relatively in line with best international practices. According to Dr Tijani, the State Government has been very supportive of the health workforce in the State in terms of their rightful remuneration. The NMA Chairman averred that the government of Nigeria will do well to fully implement the report of ‘Yayale Ahmed Presidential Committee' on industrial harmony in health sector’. This according to the association will enshrine international best practices.